What are the best HUDs - Heads Up Displays for your Motorcycle Helmet? 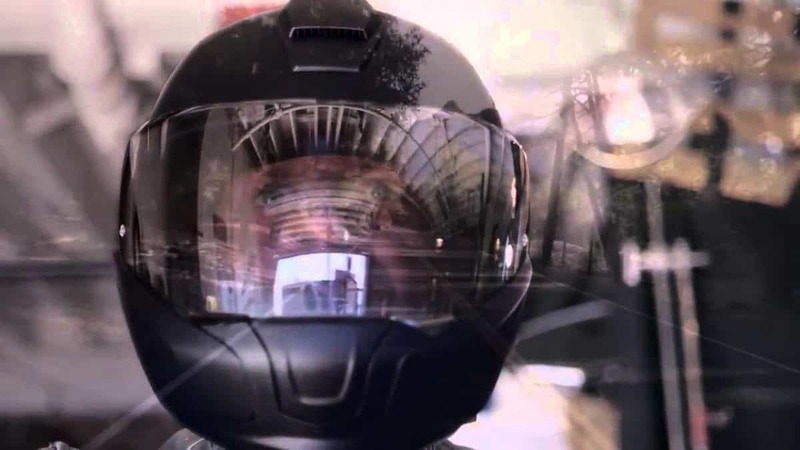 What are the best HUDs – Heads Up Displays for your Motorcycle Helmet? As technology evolves so does the need to improve upon aspects of our lives that seem like there would only be limited change available. One such feature is the Heads Up Display functionality that we notice every day whenever we operate vehicles such as cars, motorcycles or inside the cockpit of other moving vehicles. What is the purpose of a HUD? The purpose of a heads up display is to provide information directly in front of a person’s field of vision without it restricting what they see, as well as preventing them from being obstructed when they go to view this information. It is displayed through a transparent screen to allow them to see what is behind the information. Heads up display functionality has been used on vehicles but in a limited sense because they are featured mainly on dashboards and do not full encompass a display which is “Heads UP” but rather “Heads Down” as you have to look down at the dashboard in order to see the information that is being displayed. This has posed a problem for certain situations, as it might not be entirely safe to avert your eyes when operating a vehicle. While it is common for planes to feature heads up displays, it is not so common with motor vehicles even though people regularly use them and the risk of injury is much higher due to the number of people driving. Key Takeaway: But as previously mentioned there have been changes to how technology works and more and more safety heads up display features are slowly being integrated with motor vehicles. One such vehicle is the motorcycle, which seems to suffer the most. Motorcycle drives need additional care due to their speed and smaller size. What types of HUDs are there? Essentially there are not many types of different HUDs but for the most part the simple transparent screen with the appropriate information displayed on the front. This is the core of a HUD and doesn’t change regardless of what vehicle you operate. Whilst mainly used in aircrafts it’s still possible to get in vehicles. This heads up display is mainly for a car but helps to add a heads up display effect to the vehicle by reflecting the information shown on the speedometer screen on the vehicle windshield and preventing the driver from having to look down at the dashboard, therefore averting their eyes from the road where every moment counts. What features do I want in a HUD? The information displayed on the HUD needs to be accurate as you will be relying on it from the start and do not want it to give you the wrong information. The difference in speed limit displayed on the HUD and the dashboard of your vehicle could mean life or death in certain scenarios; something you want to avoid. The information displayed needs to also be relevant and efficient. It’s useless knowing the distance to the next hospital is when you’re driving to a fast food restaurant. Additionally the basics are important to see, including speed, available fuel, whether your turn signals are operating as well as your tachometer. The information displayed on the HUD needs to also be in a convenient position so that it does not obstruct your view or clutter your vision. Having it to the sides of your view allows it to be seen easily whilst leaving the main focal point in front of you free for regular sight. Key Takeaway: One such design of a HUD is a Radar Detector, which is quite compatible with a motorcycle and helps in detecting the location of Radars as well as improves the overall vision of the motorcycle driver, allowing you have a greater perception of your surroundings and possible treats that might lay in wait. Just like the TPX Radar and Laser Detection System Version 2.0, it has all the motorcycle specific features, plus updateable GPS datapoints for Red Light Cameras and Speed Cameras. You can also turn the radar detection function off when you don't want to use it. Specifically designed for motorcycle use, water, shock, and vibration resistant. Ultra-bright, adjustable LED alert included. The GPS datapoints are updated monthly and available free of charge. This heads up display helps with identifying where Radars are with a wireless connection to certain dash mounted vehicles. Whilst it does not display features such as speed or fuel consumption as some others might show, it does provide strong capabilities to make it a useful heads up display device. The device claims to have similar designs to military heads up displays and allows you to keep your eye on your target without looking away. It also alerts you to where your eyes are looking and will help adjust the way in which you perceive your surroundings to provide a much better and safer driving experience. What HUD can I expect in the future? In the future it will be possible to get custom designed helmets that have enhanced heads up display functionality already inbuilt and created to ensure that they work seamlessly with various motorcycles and ensure that the driver is kept up to date to ensure their safety. One such company is revolutionizing the way in which motorcycle helmets utilize a heads up display to give the driver a lot of relevant information relating to how the motorcycle is operating, what the conditions on the road are like up ahead as well as changes in the weather and how that might affect your drive. Whilst we use these every day there are still aspects of them that can be improved upon to make for a better experience when operating that vehicle, which usually comes in the form of improvement rather than vastly changing how they work. Heads up display improvement is slowly becoming the way of the future of technology.